Bingo, like all gambling, is a game that is based on chance and there is nothing that can be done to make sure that you win every game that you play. There are however ways of improving your chances of you winning more games that you play. The more cards you have the better your odds of winning; this is the most effective method of having more wins. The logic is simple really. If you buy just 1 card and there are another 9 people in the same game who all buy one card you will have 1/10 chances of winning. If you bought 11 cards instead your odds would be 10/20 which simplified is ½. As you see your odds would have significantly improved. The more bingo players in a room usually mean the money you can win is higher, but this also means your odds of winning decrease. In fact, for every 1 extra player in a room your odds of winning decrease slightly, especially if that play buys tons of cards. You want to pick a bingo room that has an average or slightly below average number of players. You do not want to pick a room with hardly any players, because if you did win you would not win that much. Playing bingo during the day is when online bingo sites are at their emptiest. 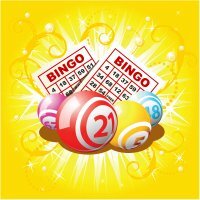 If you play in the evenings or on the weekends then you will have a harder chance of winning because of the amount people that tend to use an online bingo site is much higher then. Some online bingo sites usually tell you how many bingo cards are in play that game. Knowing this critical statistic is more important than knowing how many players are playing that game. Dividing the number of cards in play by the number of cards you purchased will give you the percentage of your chances of winning. The more games you actually play the more chances you will have of winning. Although you may be spending more money playing more bingo you will eventually win. Please remember that bingo is a game of chance and it only takes 1 card to win. Using these above methods will increase your odds but they will not guarantee a win. Just remember to have fun and socialise with other bingo players and if you do not win just simply try again. Enjoy a leisurely game of 75 or 90 ball at one of the internet's top bingo sites. practices bingo players swear by or employ. Bingo offers several advantages over other types of gaming. Uncover some useful advice on improving your game. See how men and women approach gambling differently.